The region of South-Holland has a rich history and this has resulted in several beautiful castles, churches and luxurious estates. Usually they are hidden, but with this drive it yourself GPS tour you can discover some of them! In a 100% electric 2-person Renault Twizy, with GPS navigation and audio guide, you can explore a number of historical sights and buildings at your own pace. Enjoy the ride! 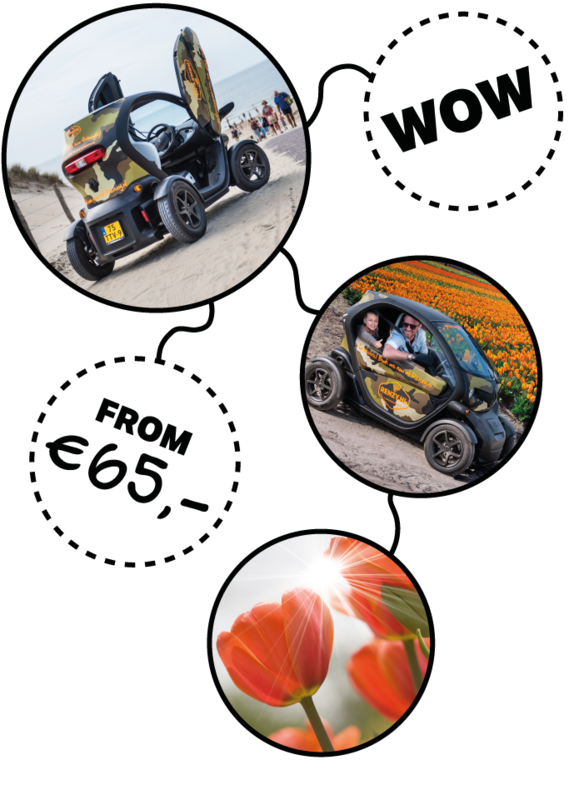 € 85,- for a 180 minutes GPS audio tour in 1 Renault Twizy, suitable for 2 people. The castle and estate GPS tour is available from 19 May to 31 October. We are open 7 days a week and we offer 2 departure times per day for this tour. "We booked the castle and estate tour. Friendly, competent and comprehensive briefing was great. The GPS guide helped us to follow the route easily. Very nice information on the audio guide about the sites and historical buildings. Definitely worth a trip to book a tour!"